A Las Lomas High School student in Walnut Creek died this week following a head injury at a local gym. 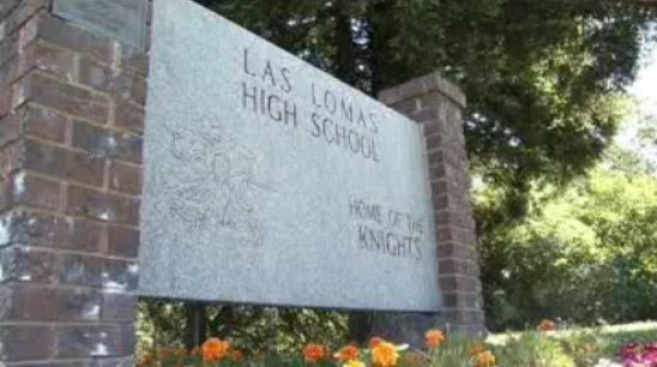 Las Lomas High in Walnut Creek. A student at a Walnut Creek high school died after an incident at a gym earlier this week, the school principal said. Amir Khakimov, who had been attending Las Lomas High School in Walnut Creek for about a year and half after moving to Contra Costa County from Uzbekistan, was pronounced dead at the hospital on Tuesday night after suffering a grave head injury, principal Matt Campbell said. The student, who was in the English learner program at the school, was lifting weights at a local gym last week when he suffered a brain hemorrhage, Campbell said. He was taken to the hospital were he never regained consciousness and was pronounced dead several days later. While in the hospital the tight-knit English learners community and members of the school's wrestling team visited Khakimov, Campbell said. He said he was known around campus because of his wrestling skills. He is survived by two younger brothers and his parents. According to his Facebook page he lived in Walnut Creek and was born in Tashkent, Uzbekistan. He listed that he attended a school there from which he graduated in 2009. "His family is in need," Campbell said. "The family of course is grieving." The high school community is collecting money to give to the family. Funds can be dropped off at the school, located at 1460 S. Main St. in Walnut Creek. Following the unexpected death, Campbell said the school is focused on supporting the students. "Our main concern is helping our students," he said. This year's yearbook will have a page dedicated to Khakimov, and the student council has put flowers around campus in his honor along with a large paper poster for students to write messages. The art department has opened their facilities for students and staff to make cards for Khakimov and his family, Campbell said.